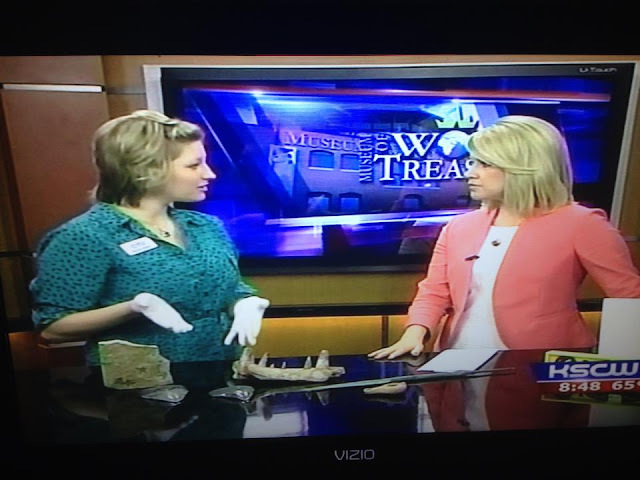 On Tuesday morning, the Museum had the opportunity to take artifacts to the KWCH Ch 12 news station! The morning show was very welcoming and invited us to bring some items representing our summer camp opportunities. Summer Adventure Camp at the Museum of World Treasures is an exciting and educational opportunity for children out of school in June and July. There are sessions on paleontology, ancient civilizations, and an all-new apprenticeship week where campers will curate their own exhibit. Click HERE or the photo below to see the interview and learn about these interesting artifacts! To learn more about summer camp, visit our website or contact the Museum at 316.263.1311.